His passion for magic began as a young child upon receiving a magic gift box one Christmas. Performing his first show at the early age of 12 the magic career of Luca Volpe was born. After six years of performing around Italy he became the youngest magician in the country to be on National Television performing his stunning Manipulation and Dove Act. This led to other programs in Italy such as Maurizio Costanzo Show, Uno Mattina, Buona Domenica and many others on Mediaset and RAI. 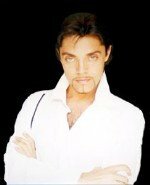 Volpe has taken his show, "Feel the Real Magic", around the world performing to astounded audiences aboard luxury cruise liners, and for top-class casinos and hotels. He is the first Italian magician to introduce street magic in Italy with the highly praised DVD 'Mystica' and with his own show on network satellite called IMAGINA (PLAY TV Sky Satellite) Volpe has received the "Kayenna TV Award" for being the first street performer in Italy to have produced a street magic special. Also composer and songwriter Volpe uses these skills in his show "Feel the Real Magic" where the elements of music, sleight of hand, dance and comedy are fused with cutting edge illusion leaving the audience spellbound. Following the great response from his first ebook Horus Luca Volpe returns with his second work Nephthys. Nephthys is the name of an Egyptian god, the goddess of magic and knowledge. True to this title, if you perform these effects you will appear to have god-like powers. But don't let this get to your head, they are only magic tricks. In this ebook Luca Volpe has incorporated many psychological aspects and basic methods to create mindblowing experiences that are 100% surefire! All of the effects come complete with script and performance tips. Here is something amazing! Get ready to predicting things before they take place, and not only that, but having the prediction inside a balloon, which is the ultimate symbol of 'intact' as nothing can pass in or out. Luca and Titanas bring you the fundamentals and many bonuses for this incredible mind boggling concept! Horus contains some of Luca Volpe's best kept secrets from his professional repertoire. Mixing a blend of clever thinking and easy to do methods, which creates stunning effects. Each routine is audience tested and contains everything you need to perform the effects, from the script to plenty of bonus tips. No complicated props to build or expensive items to buy, but just pure mentalism that is suitable for stage and intimate performances. Also included is a special graphic design which allows you to perform one of the effects that Luca Volpe has never revealed... until now!